the other night i made us a delicious salad for dinner. its so tasty plus its chock full of important nutrients. with the weather warming up this dish is just right for spring or summer picnic. its greens are very sturdy so they won't wilt as quickly as a lettuce and it's dressing is a simple vinegar & oil. we enjoyed it so much so i thought you might as well. here's the recipe ...via iPhone pix. combine all ingredients in a large serving bowl dress & enjoy. 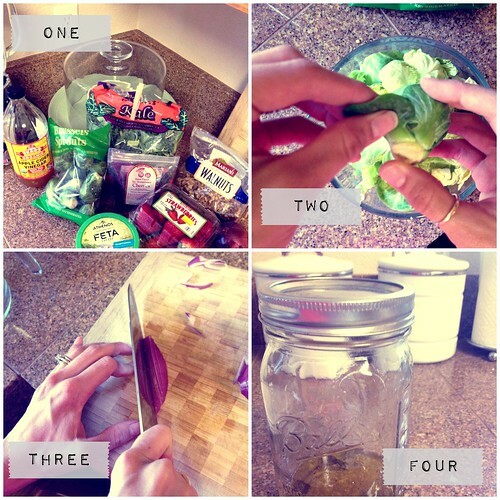 combine dressing ingredients in a jar close & shake to mix. 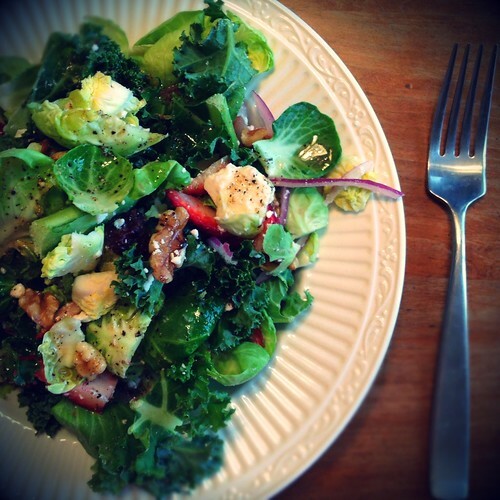 this salad is so good plus its very light & filling. oxymoron but its true. I made this salad last night for my family. It was awesome! It will definitely be a "go-to" salad for our household. Thanks!